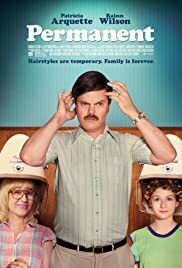 It's 1982, and the Dicksons (Jim, Jeanne, and Aurelie) move (are the new-comers) to a southern town where all the girls long for Farrah Fawcett-type curls (to match their back-woods accents/ and love to talk hair./ and obsess over their hair.) Pre-teen AURELIE begs her parents for a permanent, (known outside the south as a perm) hoping for life-changing curly waves but when they take her to a Beauty School instead of a salon to save money, disaster ensues. A bored Student-Beautician accidentally sets the timer for too long, and the perm ends up destroying Aurelie's already low-grade social life as well as her hair follicles. Aurelie is left as a gawky yet endearing young teenager trying to navigate junior high with what some kids call an afro, then throw things at her, from epithets to dodgeballs. I saw this movie at the Virginia Film Festival and absolutely loved it. I normally don't go watch a lot of comedies because I tend to think many of them are just too silly and unbelievable but this movie made me (and everyone else in the theater) laugh a lot. Rainn Wilson did an outstanding performance as the father as did Patricia Arquette as the mother. This movie brought back so many memories of life in the early eighties when things were much simpler and was full of laughs while still being totally believable. There was so much attention to detail I felt like I had been transported back in time. It was great seeing the awful clothes we wore, the tacky, awful household decor and the BAD HAIR! The movie kept moving and kept me constantly entertained. Permanent would make a great TV series. If it comes out in theaters in my area I will probably go see it again. It doesn't disappoint.